Bunny Runs with Scissors: Merry Christmas Wreath! 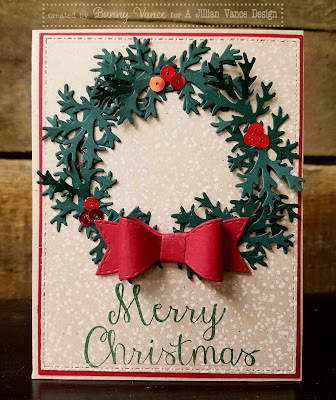 I have a wreath card using the new A Jillian Vance Design Bent Branches die. This die was designed to add little sprigs of wood peeking out in a bouquet of flowers. Well, I was playing with it and thought HEY, it can make a wreath! I am over on the A Jillian Vance Design Blog today!